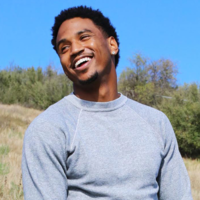 Tremaine Aldon Neverson (born November 28, 1984), better known by his stage name Trey Songz, is an American recording artist, producer and actor. His debut album, I Gotta Make It, was released in 2005, while his second album, Trey Day, was released in 2007. His third album, Ready, was released in 2009 while his fourth studio album, Passion, Pain & Pleasure, was released on September 14, 2010.